Music Sourced is going a little bit country today with this latest free music post. 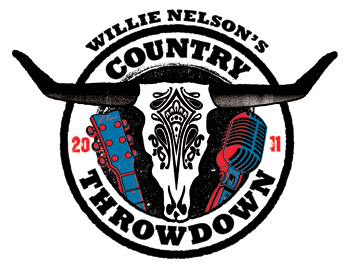 Willie Nelson and friends are about to embark on the second annual Willie Nelson Country Throwdown tour which will make stops at many outdoor amphitheaters across the country. The artist lineup includes Jamey Johnson, Randy Houser, Brantley Gilbert, Craig Campbell, Lee Brice, Lukas Nelson and Promise of the Real, Drake White, Jack Ingram and of course Willie Nelson and Trigger. Along with the main acts, there will also be 6 additional singer/songwriters featured in the Bluebird Cafe tent. I was fortunate enough to see Willie Nelson as an opening act for John Fogerty a few years back and I was really impressed by the fan response to his performance. 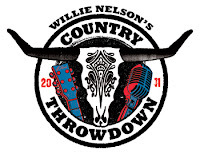 It is really a unique experience to hear Willie bring that classic country sound to the stage. To add to the excitement of the upcoming tour, there is a free download available on iTunes that features 8 tracks by 8 of the artists that will be a part of the tour. Included as part of the download is Willie Nelson's "Man With The Blues ". An excellent free download offering for a tour that anyone would be lucky to attend. See the track listing below and enjoy the free music!